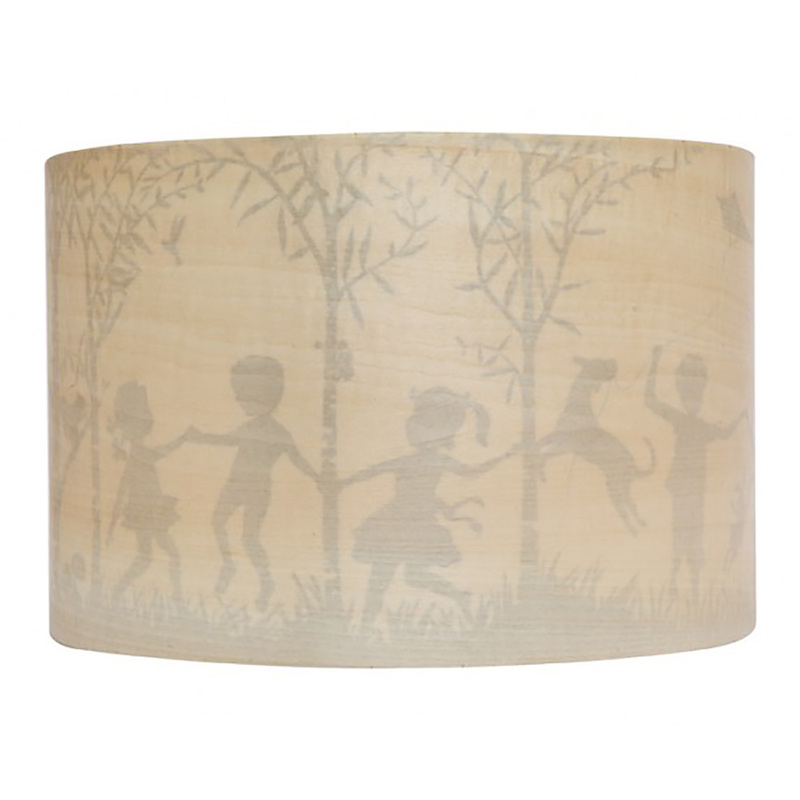 Light timber with lovely image printed on the inside of the shade. 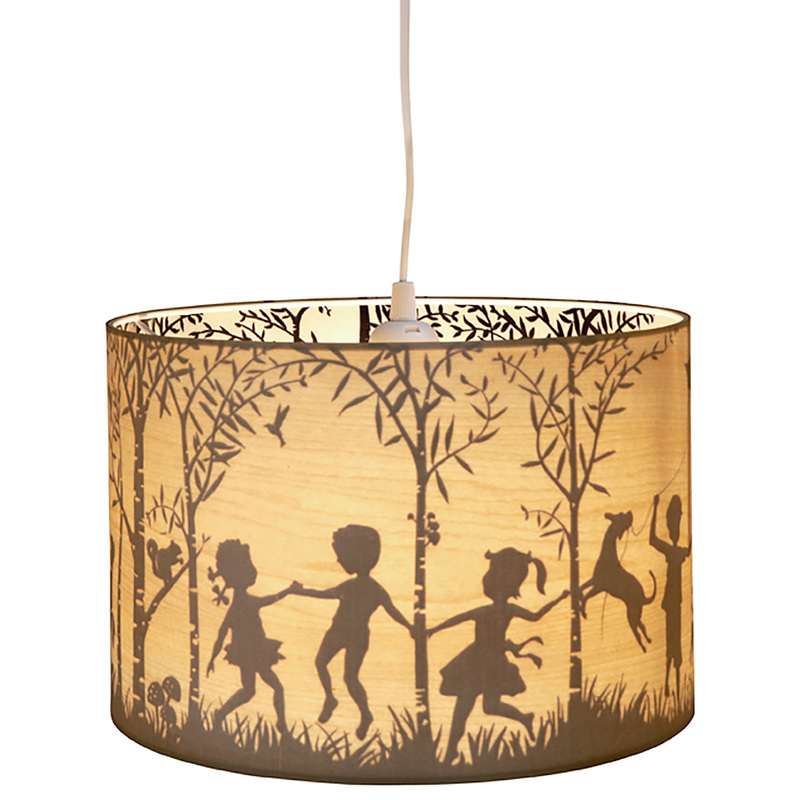 Reversible fitting allows the shade to be used for a table lamp or pendant. This Micky & Stevie favourite is now available in a reversible shade so it can be a pendant light hung from the ceiling as well as the original table lamp format. Clever, as always, this model is reversible so it can be used for either purpose! First image shows the light turned on, illuminating the playful silhouette with an almost magical effect. Second image shows the light turned off and the subtle image (printed on the inside) can just be seen through the timber veneer. 30cm diameter x 20cm tall. Please note: shade only. Electric cord in pic for illustration purposes only. * In the Woods Reversible Timber Shade ships as a large parcel and does not qualify for FREE SHIPPING offers.